Where did it all begin, we hear you ask? Well, like most good ideas it all began over a good glass of red. 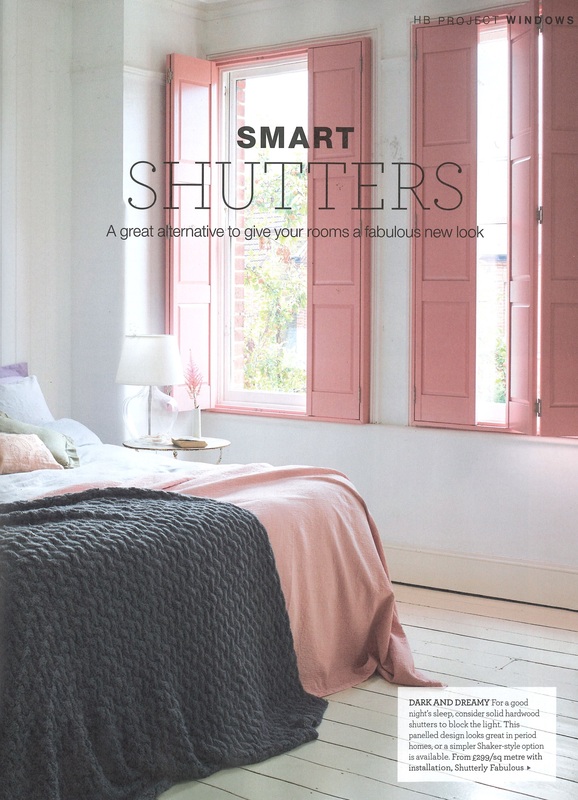 Our founders Mark and Murray were wanting shutters for their own house, and at the time, way back in 2002, shutter companies in the UK just didn’t offer the quality or service you’d expect to see when making an investment in shutters for your home. The companies they did seek quotes from were disorganised, arrived late, and charged call out fees to come and visit – certainly not fabulous. There was a gap in the market for a high quality product, delivered with a passion for customer service – something Mark & Murray felt called to fill. Shutterly Fabulous was born and the hunt for a factory that was up to our very high standards began. Our first website wasn’t near what it is today but we knew from the get go we wanted to have a strong presence online. We had a good friend, Rose Periera, based near the new factory we found in Toronto come up with the logo, and found a local guy based in Lewes, East Sussex to build us a 6 page website. It cost us £500 and was number 1 on Google in the first week it launched! It might not have been anything fancy but that site did us proud! Our first inquiry came from Latest Homes magazine in Brighton who asked if we wanted to place a ¼ page advert in their magazine which came out Sept 3rd 2002. We were naive and when the phone didn’t ring at 9 O’clock on that Tuesday morning we thought we were doomed! However, luckily enough, someone did call the next day and Murray went to do his first Shutterly Sales appointment on the Friday afternoon and got the sale! Those shutters are still there to this day in First Avenue in Hove. 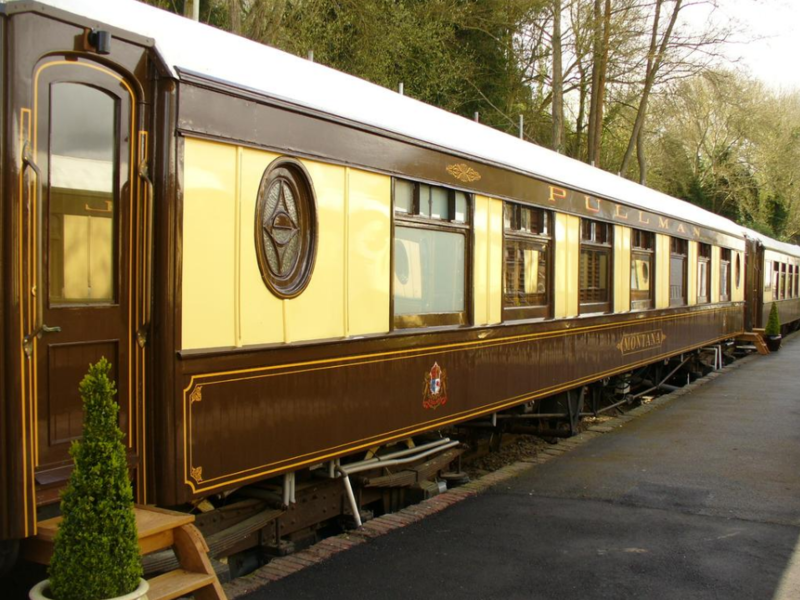 We’ve done quite a few stand out jobs over the years, but the job we are most proud of has to be fitting shutters to The Old Railway Hotel near Arundel, Sussex which features old Pullman railway carriages as their rooms. 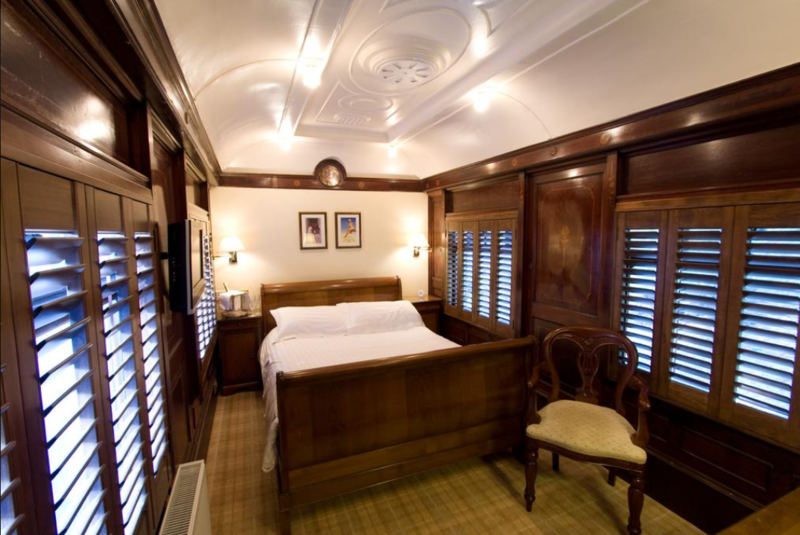 The owners lovingly restored these old train carriages to their former glory, now as luxury guest suites. The carriages had beautiful walnut wood panelling in them which we matched the shutters to, to look as much a part of the original fittings as we could. 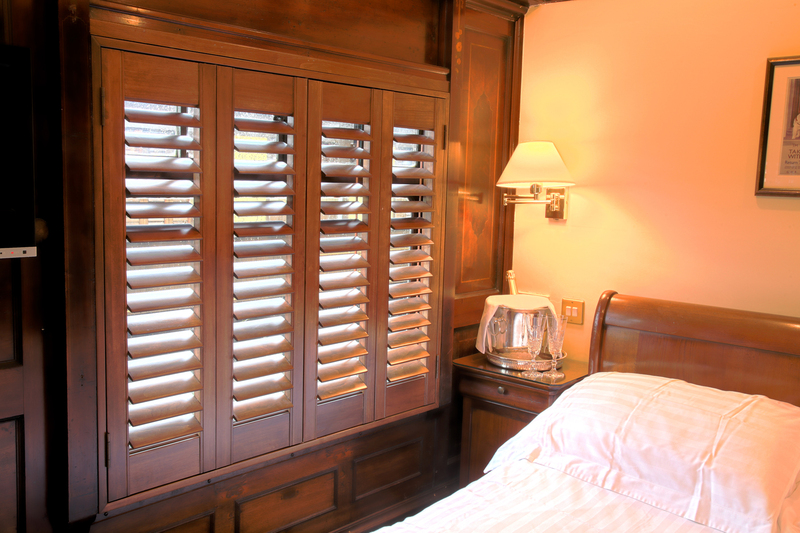 The rooms looked fantastic when they were finished and to this day we’ve fitted many a stained wooden shutter, rag rubbed by hand to ensure deep coverage. 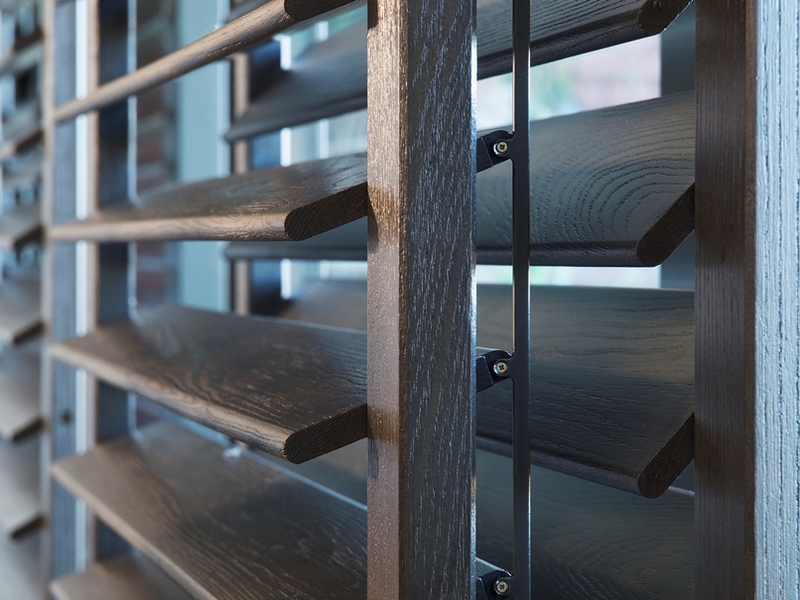 These shutters were from our Premium Elm range with a grain you can ‘feel’ giving a subtly more rustic design, whereas our Classic Poplar stained shutters are a popular choice for those who prefer smooth to touch louvres as Poplar wood has a tighter grain. We would go almost anywhere to do a job to get the business of the ground. 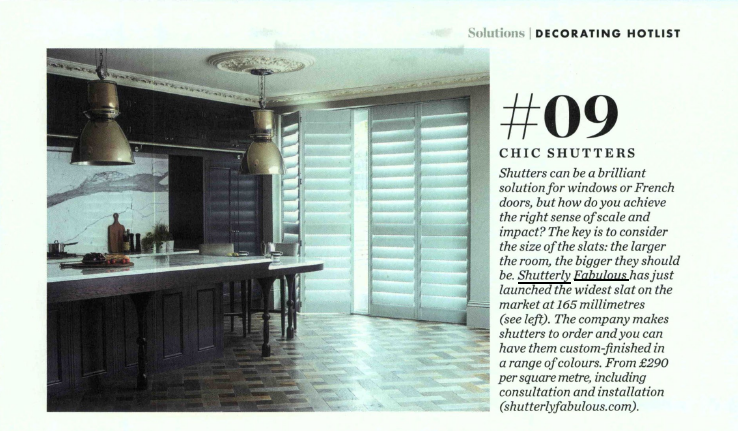 We’d go all over the UK and abroad – one job we even flew out to Marbella to install shutters on a mansion place. No job was too big or too far for Shutterly Fabulous! 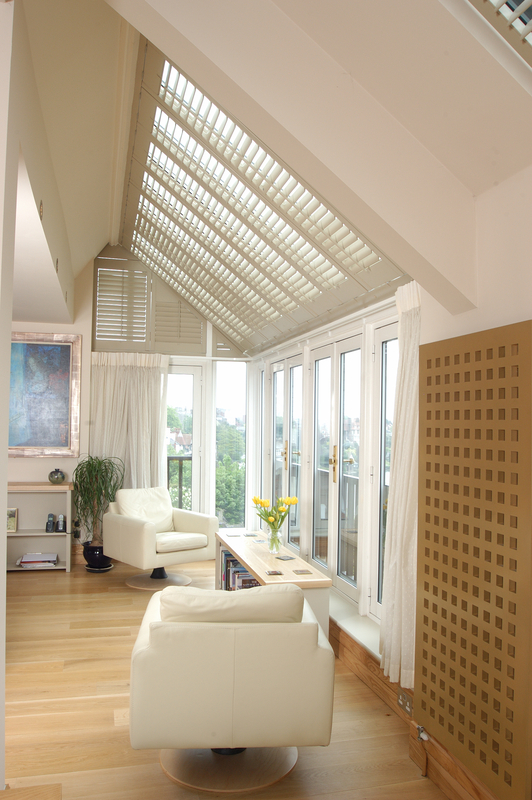 In all the installations, we’ve never forgotten the lovely couple who had a gorgeous penthouse overlooking the river in Chester. 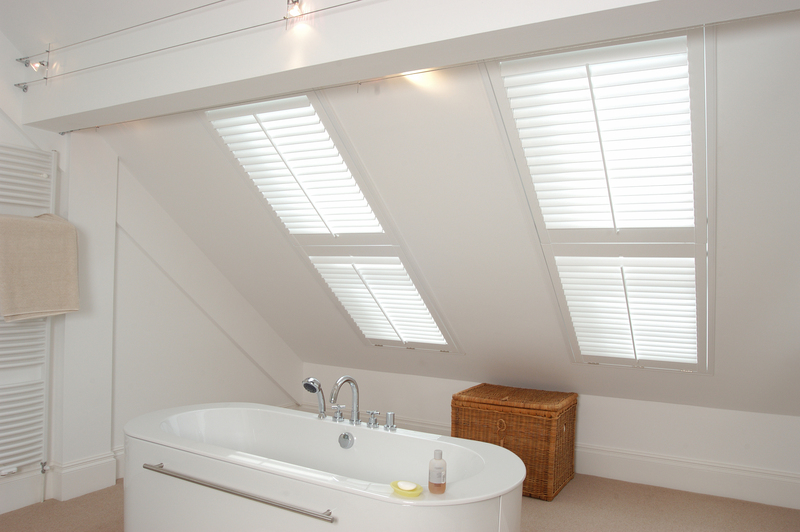 They came to us needing shutters for quite a few ‘out of the norm’ windows. Some were very tall, arched windows, some were big velux windows, and a set of sliding doors. 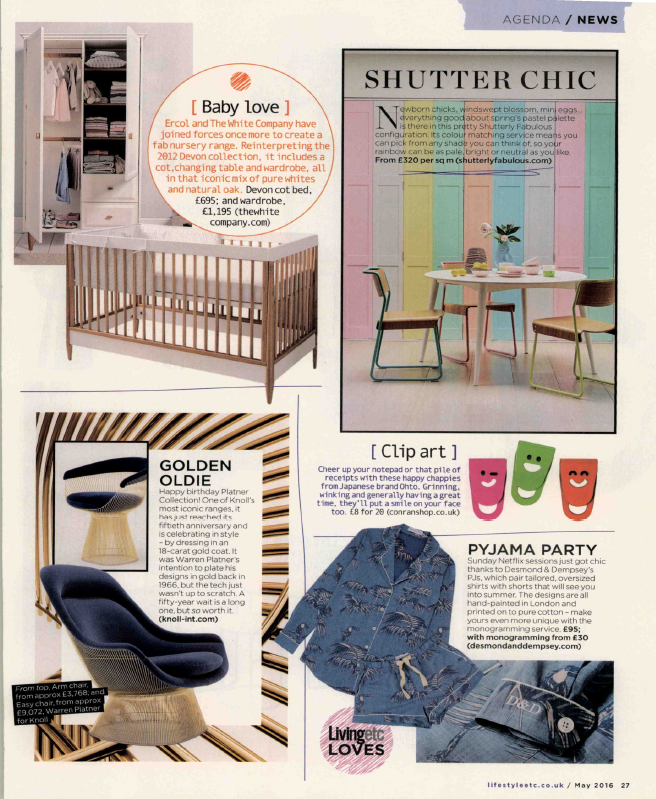 We’ve loved working with style icons over the years and Kelly Hoppen was a long time partner of Shutterly Fabulous. 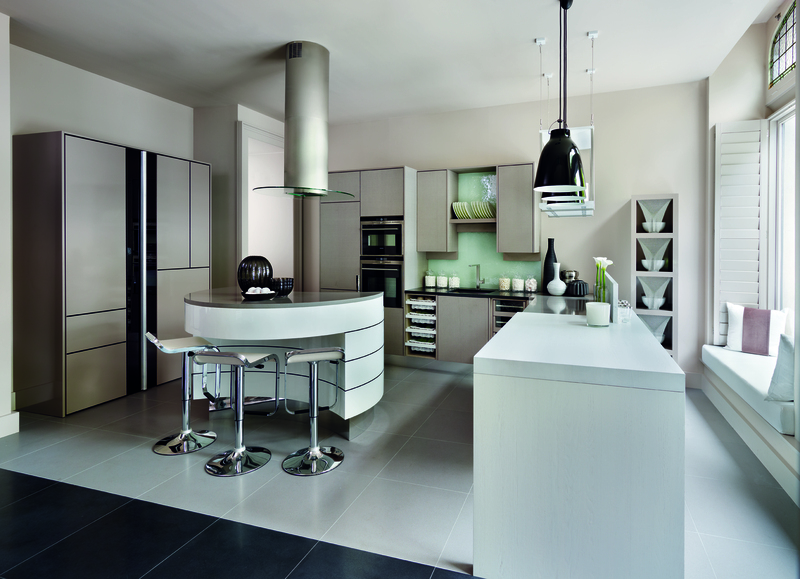 This was another particularly memorable installation as Kelly was launching a kitchen range with Smallbone Kitchens. 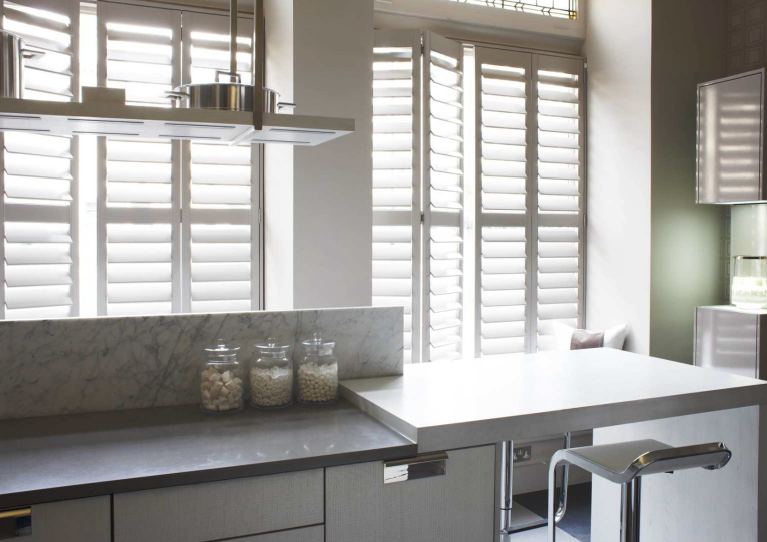 We heard through the grapevine that their showroom in Kensington didn’t have window dressing, so we brought our shutter fabulousness to their space. 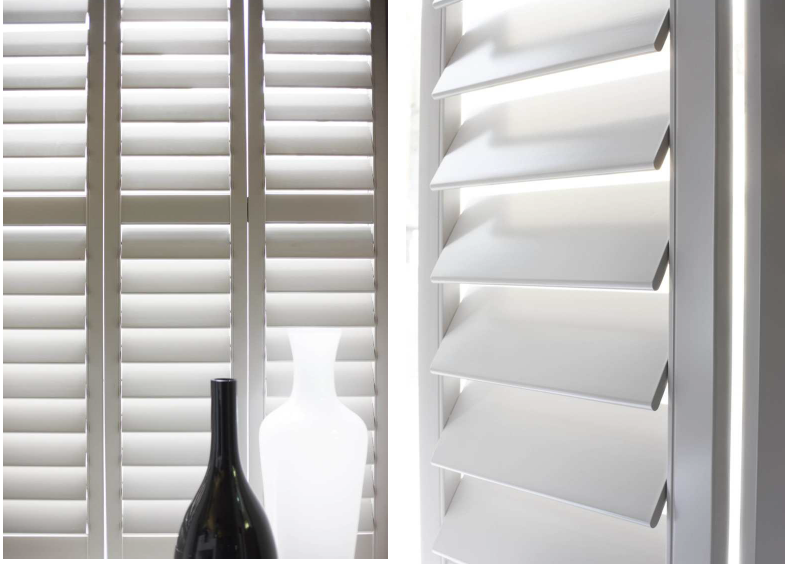 The look was timeless considering this installation happened back in 2012, that’s the real beauty of shutters. They age gracefully. 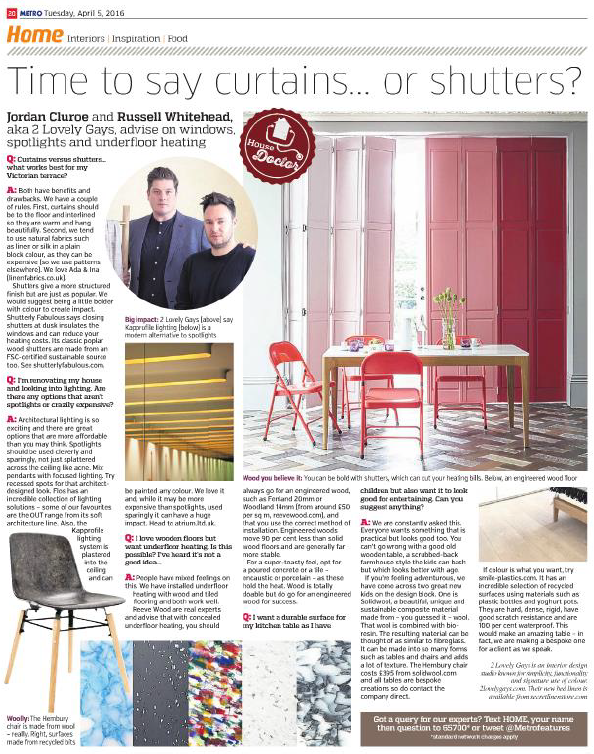 Working with designers over the years has given us an edge on colour in the home. 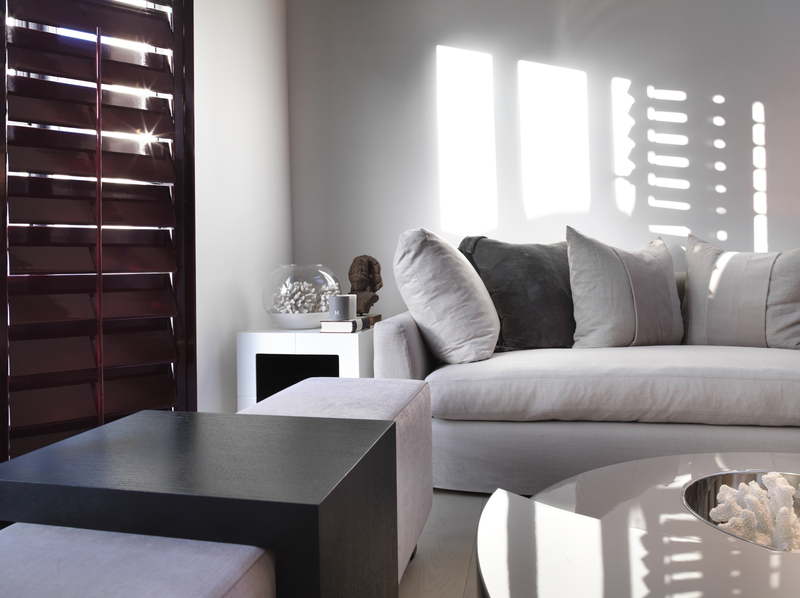 Shutterly Fabulous have colour matched thousands of shutters to Farrow & Ball, Dulux Trade and RAL colours, and we also have our very own designer collection which features a spectrum of cotton, taupe and dark grey paints, plus a wide variety of stains. So what’s next for Shutterly Fabulous? 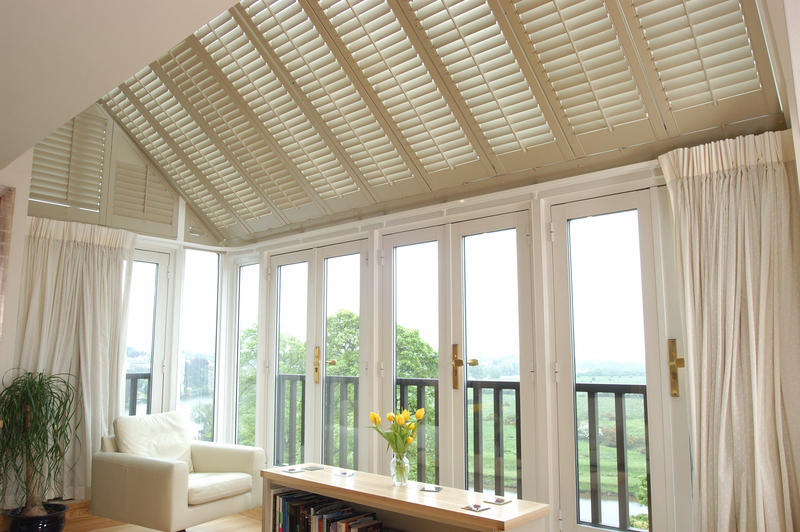 Whatever your space, whatever your style, whatever your budget, our plan is to keep going above and beyond for our customers, providing shutters that can’t be beaten on quality, on service or on value. 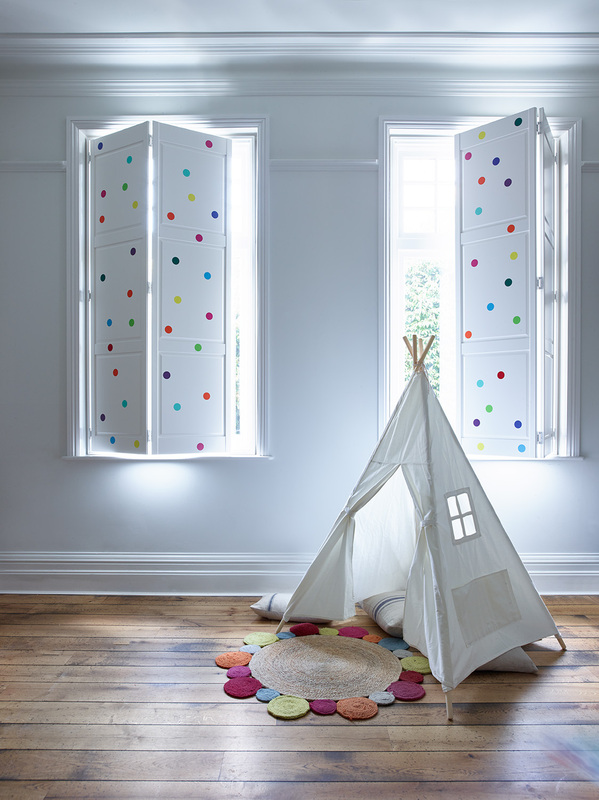 We’re already following our dreams to bring Shutterly Fabulous’ unrivalled design and fit service to the far corners of the UK having now expanded to Bristol, Dorset, Bath and the M1 corridor. We’re spreading our love for local, independent craftsmanship. And to mark 16 fabulous years, we’re knocking £100 off every order made during our birthday month of August. Ready to make your home even more fabulous? Book an appointment with one of our expert consultants today.